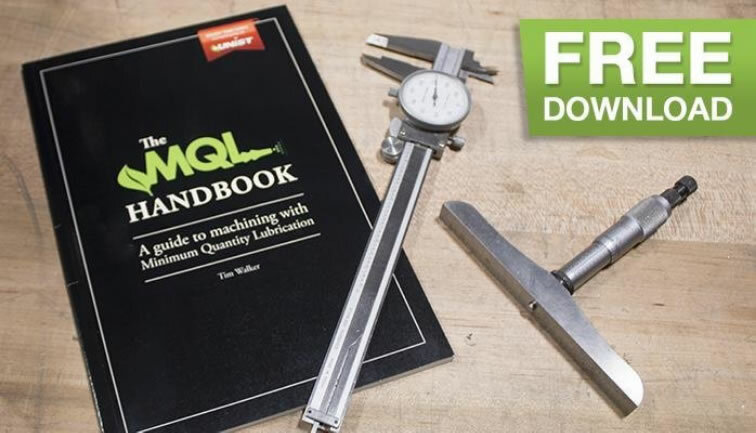 Minimum Quantity Lubrication equipment manufacturer Unist has put together an informative booklet titled “The MQL Handbook.” The Handbook has some great insights into MQL including basics such as how MQL works and also information on what makes a good application system, setup considerations, fluid selection, and more. Currently, you can download a .pdf copy for free on their website. This entry was posted in Uncategorized on June 7, 2018 by mqlGuru. 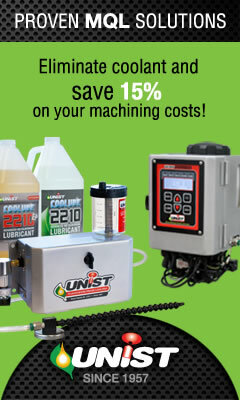 Unist’s Senior Vice President examines the pros and cons of Minimum Quantity Lubrication and flood coolants. Tim explains the advantages of MQL and explains important considerations when comparing it to flood coolant. A great article from the October, 2016 issue of TLT (Tribology & Lubrication Technology) Magazine and a good read for anyone considering making the switch to MQL! This entry was posted in Uncategorized on March 9, 2018 by mqlGuru. Production Machining magazine’s Chris Felix offers a broad view of minimum quantity lubrication along with a closer look at MQL in turning operations. Click to read the entire article on Production Machining’s website!